Many older men are looking to recapture their youthful strength, endurance and stamina by increasing their low testosterone level. We know that by the time men hit 30 – 35 years old, their natural testosterone levels have begun to decline. You may not realize it, but by the time you are around 36, you may be seeing the signs of low testosterone levels in the form of low stamina, poor sexual performance, loss of libido and even a loss in confidence and well-being. That is why you need a natural supplement that helps you regain your diminishing testosterone so you can take back your manhood. 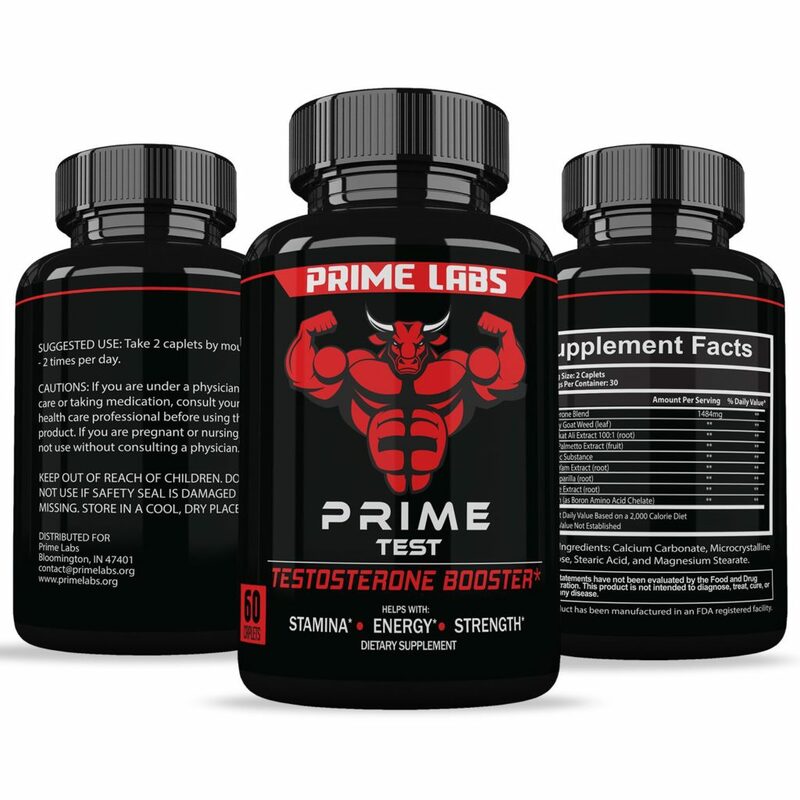 Today’s question is, is Prime Lab’s Testosterone Booster Prime Test the answer to all your problems? I will tell you right up front, I don’t think so. But, we should at least check it out and you will find out the answer in my conclusion of Prime Test. Prime Test is an all natural testosterone booster that is designed specifically for men, to help increase your circulation and blood flow while it acts like a natural anabolic enhancer that burns away that really hard to lose belly fat, restores energy levels, and even help you build strength and lean muscle mass. It is said to be able to give you back the confidence you need for better physical and mental performance at work, at home, and even in the bedroom. I am not yet convinced:( , but let’s see what these ingredients do for us. What are the Ingredients in Prime Test? The ingredients in Prime Test are formulated by Prime Labs and are very highly tested to ensure the best quality. They are produced in a FDA registered facility in the United States and are easily verified. The first thing I see about these normally great ingredients is that they are all in a proprietary blend. So, all of the ingredients mixed together in a blend and we are only told how big the entire blend is. This means we cannot know how much of each ingredient is in the blend. This is not good for transparency or knowing if you will have potential side effects, plus it is a way for them to potentially hide weak doses of ingredients. The total blend is only 1484mg, so we know that they can’t have any really big doses of ingredients. As an example of proper quantities in a supplement that are properly disclosed, my #1 Recommended Testosterone Booster has a total of about 3000mg. Tongkat Ali – This is also known as longjack and is another libido enhancer. It has also been shown to boost testosterone by as much as 37% in various studies. It has also been shown to lower cortisol levels by 16%. Cortisol is a massive testosterone killer, so lowering your cortisol levels is very important. Orchic Substance – This ingredient is made from bull testicles. That’s right, testicles, with the theory being that this ingredient will make you strong and aggressive like a bull. While companies have only recently started to use the substance in testosterone boosting products, the use of orchic substance dates back quite a few years. Men use this substance to improve the functions of their own testicles. It is used to treat issues like shrinking testicles. It is often promoted as a testosterone enhancement ingredient, but there doesn’t appear to be any real evidence suggesting that it may actually increase testosterone levels in the male body. It may help promote testosterone production, since the ingredient actually contains testosterone from the bull. Wild Yam – This ingredient is wild yam dried root, not quite the same as your baked and candied yams for Thanksgiving. It is thought to help increase libido among other things. The supplement may also help lower cholesterol, reduce inflammation caused by arthritis and promote bone health. The active ingredient in wild yam, diosgenin, may help your body prevent the absorption of cholesterol, according to the University of Maryland Medical Center. Wild yam also has anti-inflammatory properties, and it has been used as a form of alternative treatment for people with rheumatoid arthritis. Sarsaparilla – The main uses for Sarsaparilla in this formula is an aphrodisiac and as a libido booster for men. Nettle Extract – This ingredient binds to the SHBG in your blood in place of testosterone, thus leaving more free testosterone in your blood and available for use. Boron – Boron is a mineral that has been shown to increase testosterone levels. Similar to Nettle, it does this by decreasing the amount of SHBG in the blood. In a study by Miljkovic, men taking 6 mg boron daily for just 2 months increased free testosterone levels by an average of 29.5%. It has also been found that taking more than 10mg of Boron, does not increase free testosterone levels so stick to the recommended dosage. 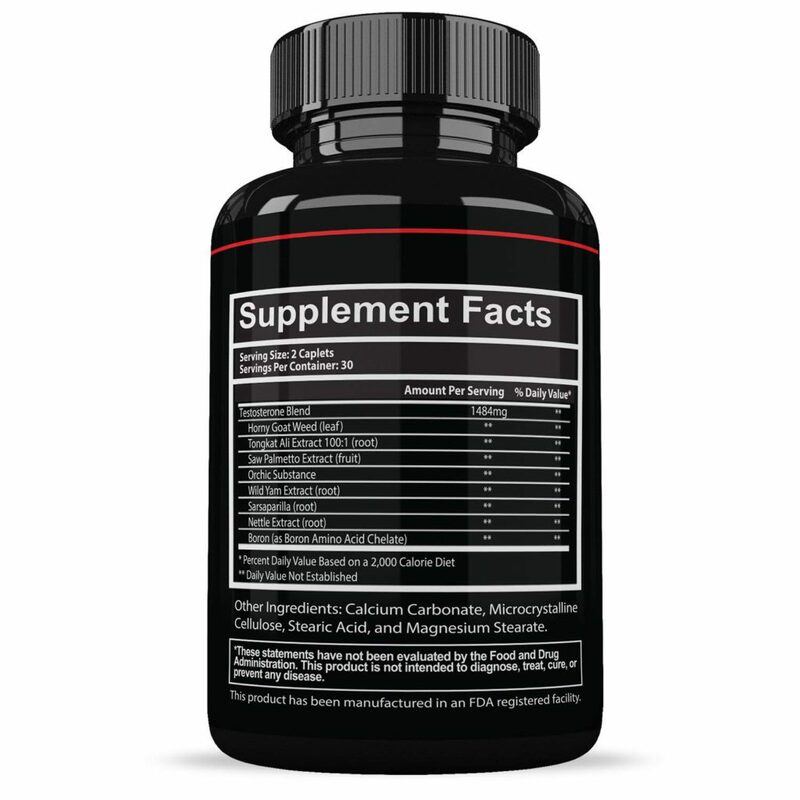 As you can see, most of the ingredients in this supplement are meant to help older males with their libido and sexual performance. Not really a lot of testosterone boosting going on here. It is missing important ingredients for boosting testosterone, such as Zinc, Magnesium, D-AA and a few others. CLICK HERE for the Best Testosterone Booster for Men Over 50. No side effects to worry about with this supplement. It is Safe, Natural ingredients. As with any other supplement, don’t go crazy and take too much of it or some side effects could occur. Should I Use Prime Test or Not? The ingredients in Prime Test are average at best. 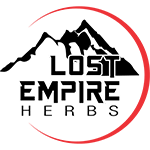 It consists of a proprietary blend and we don’t know how much of each ingredient we are getting, so we can’t know how effective it really will be. Prime Test is priced on the low side and all I can say is, you get what you pay for. However, I am convinced it may help you some in the libido department but that’s about it and there are plenty of great products out there that can do that, along with boosting your testosterone. You can try it if you like, since it is cheap, but I think you would be better off looking for a more effective product. In fact, my Top Ten Testosterone Boosters for 2018 would be a great place to find an awesome testosterone booster that will also increase your energy, stamina, libido and so much more. Prime Test is now the #1 Best Seller on Amazon for Testosterone Boosters! Over 17,000 men said it works for them. I would have assumed any products like this would have some type of side effects to come along with it. Actually surprised by this fact. As so many products come with some really awful and worrisome side effects that could happen to you. Is this brain known to use natural ingredients like this to get rid of the paranoia of side effects? No side effects since it is all natural ingredients. That is one big advantage of natural supplements versus steroids or testosterone replacement therapy. Those have really bad side effects. Thank you for sharing this great review on Testosterone Booster.I always doubt on products from factories even if they are said to be natural.I fear that they can have some negative effect on our body. Are there some natural products which can act like this products like fruits,some vegetables…? I am not against this supplement but i always fear products processed in the industries as they are some additions which can harm our body. These supplements are very safe and are produced in FDA registered facilities. But, it is always better to eat the foods that can help with low testosterone, if you can. 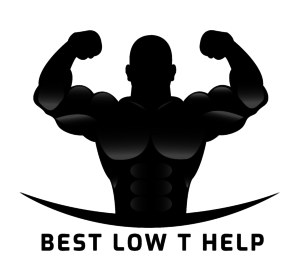 Please check out my article on the Foods That Will Increase Low Testosterone. Also, here is my article on the Foods That Will Lower Testosterone Levels. Thank you for reading and for your comments. Best of luck. We know the importance of testosterone especially in older men. I find the supplement that you are promoting very good for all those people who have low performance at work and in their personal lives. I have confidence in the supplement that you recommend because the laboratory is approved by the FDA. I will also consult with my family doctor and then contact you again. See you soon. Yes by all means check with your doctor. But, just so you know, medical doctors in general are not up on natural supplements. They write prescriptions and treat symptoms, not the cause. I think this is an average supplement, as I stated in my review. Many people have said it has worked great for them. Feel free to check out my article on the Top Ten Best Testosterone Boosters – 2018 to get some more amazing options.